It seems some of these were made in Taiwan and some in Japan, but I have no knowledge of which models or whether or not all models were made in both countries. This is not unusual for Yamaha. 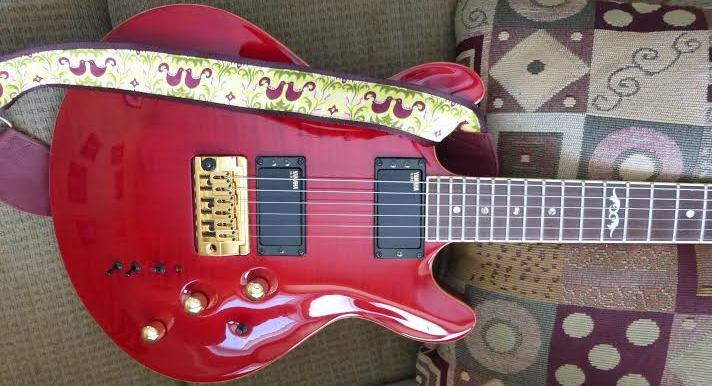 In December 2018 a member of the Yamaha Forum purcased an Image Deluxe with Made in Japan stamped on the headstock. 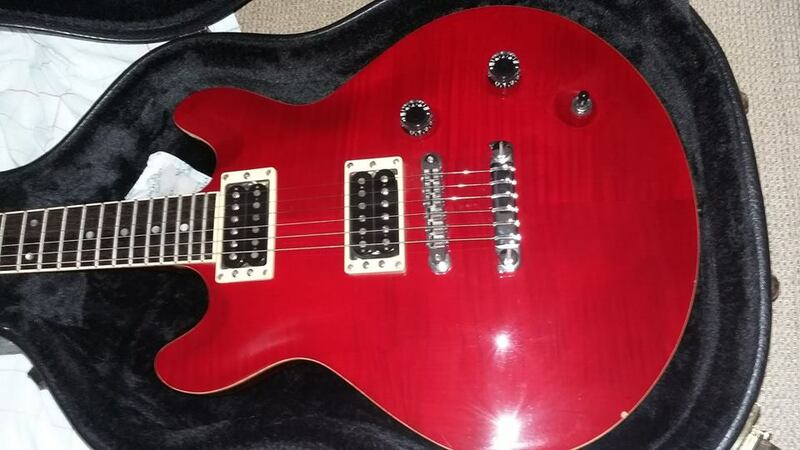 Designed in the UK by Martyn Booth ex Gibson Guitar technician of great talent, now a Luthier making custom guitars. Booth designed this after seeing Gibson's 335s an apparently not great solid body 335 they released this in 1980 by 1987 Martyn was working with Yamaha U.K. he designed the Image to complement Yamaha's SG line. In the UK known as the MSG (Martyn's Solid Guitar) for branding reasons . It had a mahogany body with a carved maple cap and glued-in mahogany neck. Scale was 25", top binding was maple, and finish options were blonde, cherry, and orange sunburst. The MSG/Image guitars were made in three grades. 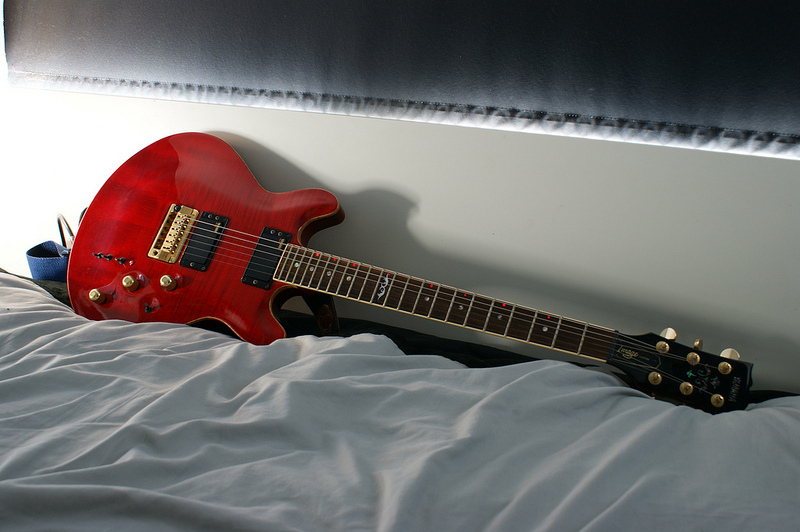 The Standard had twin humbuckers, rosewood fingerboard, and a stop-tail with strings running through the body. 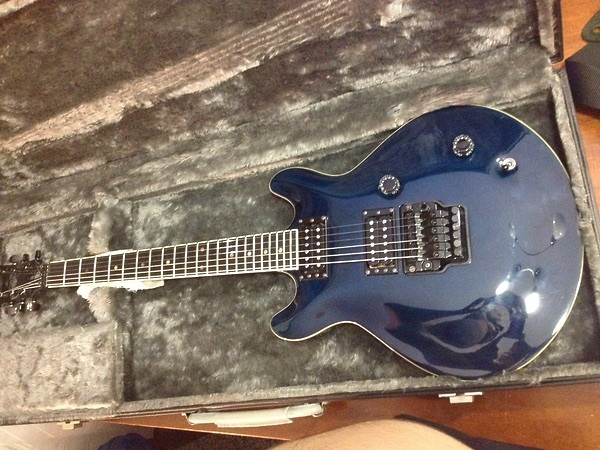 The Deluxe had an ebony 'board and RM Pro double-locking vibrato. 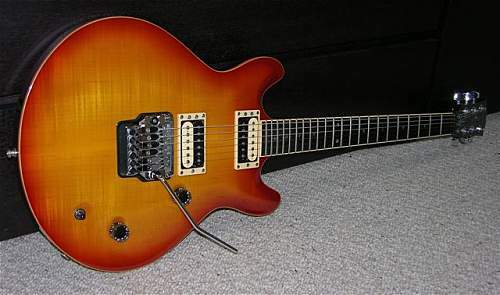 The Custom had a Brazilian rosewood fingerboard and the latest technology from Yamaha's Japanese labs; pickups were Hybrid Integrated Pickup System (HIPS), with active/passive options, the vibrato was a then-new needle-bearing type with a small thumbwheel on top for adjusting spring tension, and instead of a cumbersome locking nut, it had Gotoh Magnum Lok tuners with a screw-down shaft that locks the strings in place. In addition to the active/passive option (with its mini-toggle with LED), controls include a three-way mini-toggle, volume, midrange boost, and passive tone controls. Two other mini-toggles serve as coil taps. Active mode basically consists of a power-boost function, which can give nasty overdrive distortion depending on the amp and settings. There are more versatile tonal arrangements, but this does give a lot of colour. One of the coolest features of the Image Custom is a line of LED dot markers running along the top edge of the fingerboard. A little switch where the jack normally would be turns on this groovy feature - so cool! Also worth noting is the wide fingerboard and jumbo frets, both nice if you like them. The MSG/Image debuted in '88. 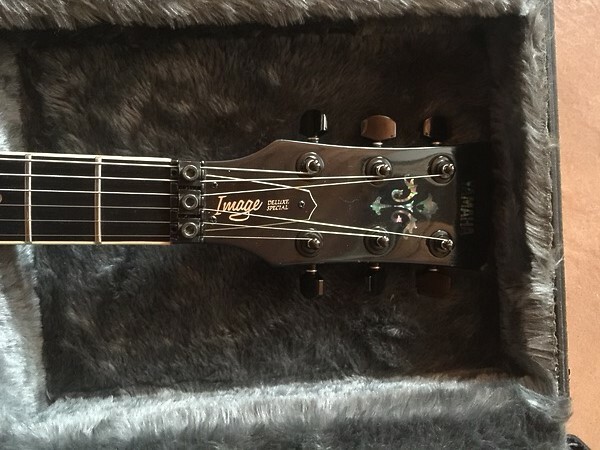 The following year, the headstock shape was altered a bit and the Volume knob moved on the Standard and Deluxe models. Collectors often refer to these versions as Mach 1 and Mach 2, respectively. The line ended in 1994 approx. 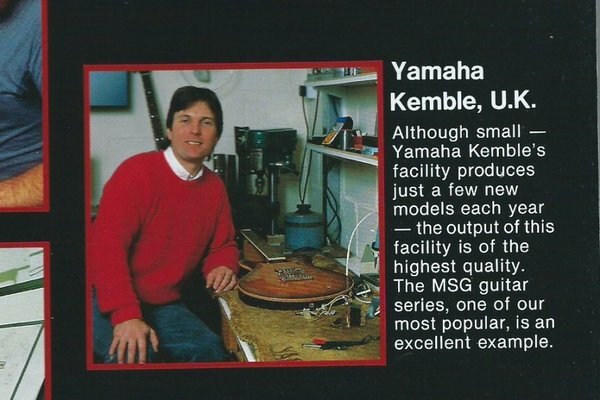 Martyn Booth left Yamaha in 1990 to start his own shop. In 2002, he resurrected the design, trimmed it down a bit, refined some features, and it's now available as the Martyn Booth Classic and Signature. Control 1 vol 1 tone 1 vol 1tone 3 way mini-toggle, volume, midrange boost, and passive tone controls. 2 mini toggles for coil tap. For sale on the web is an Image Deluxe Special I can find very little information about this model. It appears to be a special or limited run of the deluxe. The only differences being the colour of the guitar and the black hardware. If anyone knows any more about this I would appreciate an E-mail. 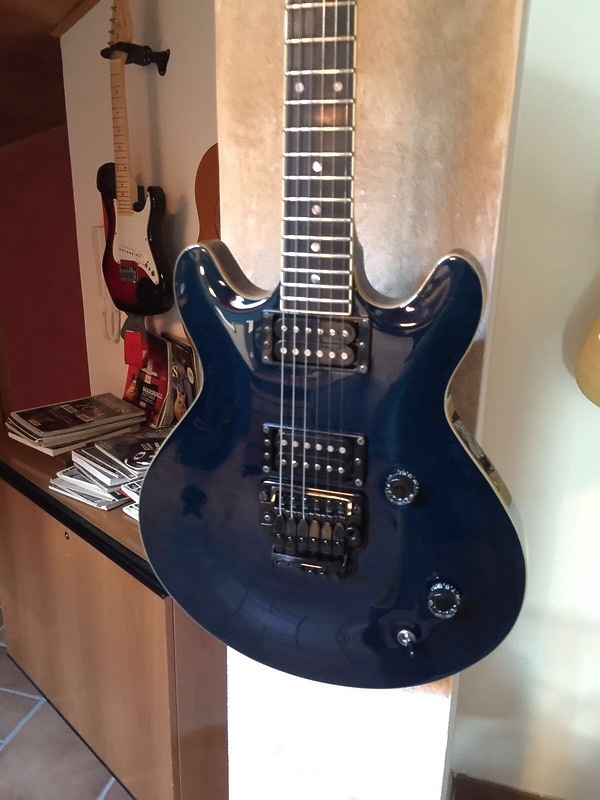 The picture below is from a Yamaha catalogue and seems to indicate that some MSGs and other guitars may have been made in the UK I haven't seen any and can't find anyone who has does anyone out there know more.